As Flight TWA 009 touched down at Heathrow, Lulu Rowley of the Petil-lu Cattery in Old Costessey, near Norwich was eagerly awaiting sight of her two six month old kittens, Lad and Lass, Seal Colourpointed and Seal Mitted varieties, imported from Denny and Laura Dayton’s Blossom-Time Cattery in California . 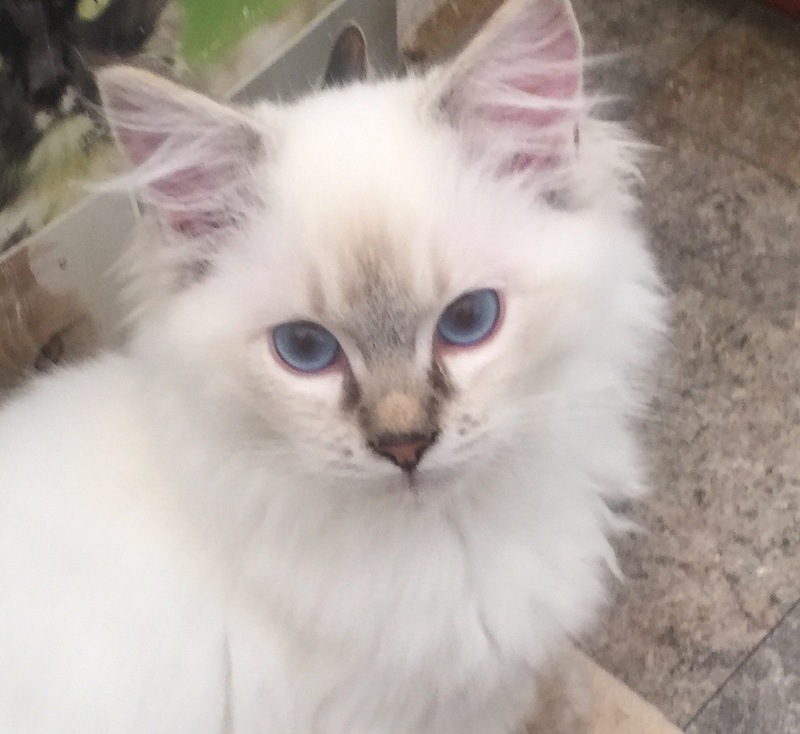 Her friend, Pat Brownsell of the Patriarca Cattery, excitedly looked on for the thrill of seeing her younger pair of Ragdolls, a Seal Colourpointed and a Chocolate Bicolour, appropriately named Prim and Proper. Spring 1981 heralded great excitement for two Norfolk ladies who would become synonimously linked in a new venture they were about to embark on with the arrival of the first Ragdolls in the UK. Six months in quarantine seemed an eternity and Pat and Lulu visited the cats as often as they could. Imagine how thrilled Lulu was to get a phone call from the owner of the quarantine cattery on 28 July announcing that Lass had given birth to her first litter of kittens - three girls. The two ladies had the foresight to broaden the base of their foundation stock by importing a further eight Ragdolls and within a year Blossom-Time Romeo, Juliet, Pistil, Camellia, Bananas, Myrtie, Spring and Summer joined the earlier quartet. With a variety of Ragdolls between them, Lulu and Pat had the potential to produce the 3 patterns of Colourpointed, Mitted and Bicolour in the colours of Seal, Blue, Chocolate and Lilac. Once their breeding programmes were established, the ladies were inundated with requests from breeders in the UK , Europe and as far afield as Australia, wishing to establish their own foundation lines and one such breeder was Sue Ward-Smith of Ashburnham in Sussex . Her choice of prefix was inspirational, and the name of Pandapaws was to become inextricably linked to Ragdolls. In March 1990 recognition was finally achieved and Ragdolls were eligible to be shown in the Assessment classes at Championship Shows around the country. Documented evidence about the origin of the Ragdoll remains vague, but it is believed that the breeds originator, Mrs Ann Baker of Riverside, California, acquired 3 foundation cats from a Mrs Pennel; a Seal Mitted male with a white nose blaze named Daddy Warbucks, who was derived from Josephine, a white non pedigree female and an unknown sire. origin and Fugianna, a seal bicolour, sired by Daddy Warbucks. In due course Buckwheat was mated to Daddy Warbucks and in June 1965 she produced the first kittens that were registered as Ragdolls, Raggedy Ann Kyoto and Raggedy Ann Tiki. Ann then devised her own ‘unique’ breeding programme; whereby kittens descended from Tiki were categorised as ‘the dark side’ and from Fugianna ‘the light side’, the theory being to create genetic diversification by mating cats descended from one side to cats descended from the other. This practice continued for almost thirty years until the early 1990’s by which time it was felt that adequate diversification had been achieved.